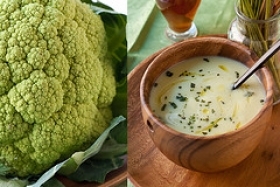 Have you made Cauliflower Or Broccoli Soup? 1. 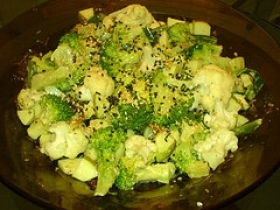 Trim the cauliflower's leaves or the broccoli's tough stems. 2. Cut into medium to small pieces. Bring the chicken stock to a boil in a large pot. 3. 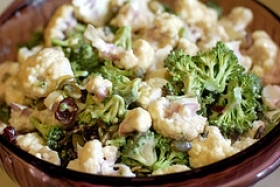 Add the cauliflower or broccoli pieces and the onion and celery. 4. 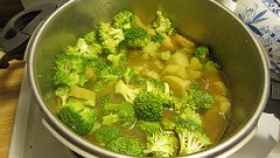 When the stock returns to boil, reduce heat and simmer for 10 to 15 minutes until the cauliflower or broccoli is tender and can be pierced with a fork. 5. Do not overcook. Drain the vegetables and reserve the stock. 6. Set aside eight of the nicest-looking florets for garnish. 7. 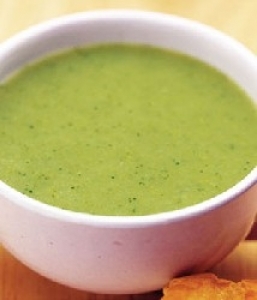 Using a food processor or blender, puree the cooked vegetables, gradually adding the hot stock. 8. It might be necessary to do this in batches. 9. 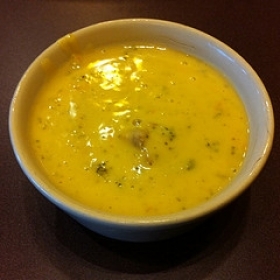 Return the puree to the pot, place over low heat and stir in the cream. 10. 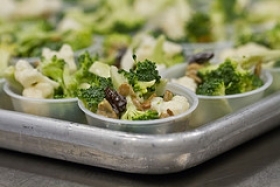 Pour the soup into serving bowls and garnish with the reserved flowerets and a pinch of nutmeg. 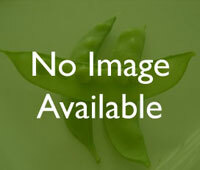 This recipe contains potential food allergens and will effect people with MSG, Poultry, Celery, Onion allergies.